There are many different Amish Country attractions. Shop at the handmade craft stores, heirloom furniture galleries, antique malls and flea markets. 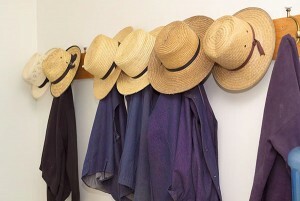 Learn about Amish culture by touring and eating at an Amish home. 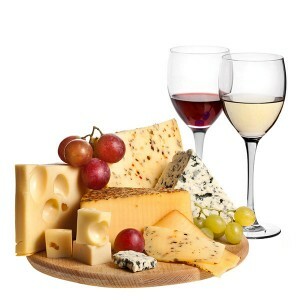 Satisfy your cravings for locally made cheese, wines and chocolates. 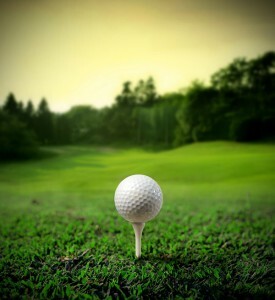 Challenge yourself on the golf course. Milk a cow, feed the pigs, collect chicken eggs and farm the land. In and around Holmes County you will find something for everyone. Drive the back roads and experience the essence of Amish Country. Berlin is filled with craft stores, gift shops, antique malls, ice cream parlors, vintage clothing stores and a variety of restaurants. Berlin Village Gift Barn - Vintage clothing, home decor. 61 Surplus - Home, kitchen, furniture, toys, sporting goods. Coblentz Chocolates - Handmade chocolates. Berlin Village Antique Mall - Large Antique Mall in Berlin. Amish Country Leather - Variety of leather products. Berlin Creek Gallery - painting gallery, amish scenes framing and matting. Blue River Gallery - American artists, hand blown glass, sculptures and pottery. Country Gatherings - colonial, vintage, primitive items. Gospel Book Store - Christian Book Store in German Village Center. Der Bake Oven - Handmade pastries, breads, pies, cookies and cakes. Helping Hands Quilt Shop - Quilts and gift items, fabric and embroidery. Kaufman's Kountry Accents - primitives, candles and prints. Nature's Food Market - Health and wellness store. Shrock's Heritage Furniture - High quality locally made Amish furniture. Swiss Valley Furniture Berlin - Handmade solid hardwood furniture. Walnut Creek Cheese in Berlin - Bulk foods, ice cream, baked goods. Holmes County Flea Market - Located on the East side of Berlin on State Route 39, open from late March to December. One of Holmes County's largest shopping malls. Walnut Creek Flea Market- Located on State Route 39 east of Walnut Creek, offers a variety of locally made products. Amish Country Peddler - Quality home decor items. Located between Berlin and Walnut Creek on State Route 39. Berlin Antique Mall and Craft Mall - Large antique and craft mall located on the East side of Berlin on State Route 39. Charm Harness and Boot - Sells work ware, western apparel and hiking gear. Located in Charm across from Keim Lumber. Keim Lumber - The areas' largest home supply and building store. Located in Charm. Erb's Stove Center - Large showroom featuring fireplaces, grills, stoves and outdoor furniture. Located East of Berlin on State Route 39. Wendell August Forge - Hand crafted aluminum, bronze, and pewter items. Lehman's Hardware - Old fashioned, practical housewares, appliances, tools and toys. David Warther's Carvings - New showroom in Walnut Creek. 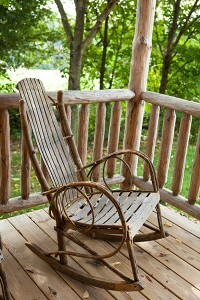 Swiss Valley Furniture - Hardwood furniture, accents and outdoor products. Walnut Creek & Berlin. Homestead Furniture - Amish Country's largest furniture store. North of Mt. Hope. Country Furniture - handcrafted and upholstered furniture. Dutch Craft Furniture - Locally made hardwood furniture. Ole Mill Furniture - Heirloom hardwood furniture. Located in Charm. Pleasant View Furniture - Large new showroom. North of Berlin on US 62. Stone Barn Furnishings - handcrafted, locally made furniture. Troyer Furniture - Locally handcrafted furniture. Large showroom in Sugarcreek. Weaver Furniture - Large Showroom of furniture and decor. Drive the back roads of Amish Country and you will see many small family owned Furniture stores specializing in hardwood, heirloom quality pieces. The backroads of Amish Country are a scavenger hunt! Little Cottage Co. - Playhouses, barns, outdoor furniture. Weaver Barns - Barns, gazebos, lawn furniture. Walnut Creek Cheese - Bulk foods, cheeses, ice cream, bakery. Coblentz Chocolates - Area's finest handmade chocolates. Berlin & Walnut Creek. Heini's Cheese Chalet - Where the cheese is made. Factory tours and free samples. Guggisberg Cheese - Home of the baby swiss cheese. Factory tours. Over 60 varieties of cheese. Hillcrest Orchard - Seasonal orchard with fresh cider, apples, cheeses, produce, nuts and candies. Located in Walnut Creek on Towship Road 444. Breitenbach Wine Cellars - Varieties of local and national wines. Cellar tours & restaurant. Behalt - Take a tour of an informative 265 ft mural of the Amish and Mennonite history. Located on CR 77, Berlin. 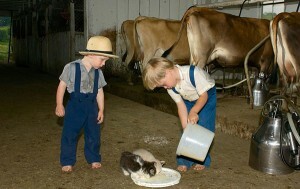 Schrock's Amish Farm and Village - Tour an Amish Farm, buggy ride, petting zoo and train ride. Craft and antique mall. Yoder's Amish Home - Tour two Amish homes, local guide explains culture and lifestyle. Barn with petting zoo. 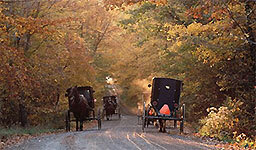 Amish Heartland Tours - Tour and have dinner in an Amish home. Make soap, work the fields, sew a quilt. 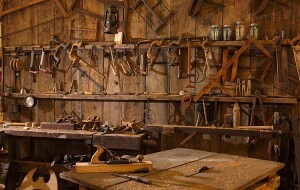 Warther's Carving Museum - Priceless carvings, button collections, knives, beautiful gardens. Hershbergers Truck Patch - Petting zoo with pony rides. Bakery and Bulk Foods. Located between Berlin and Charm on SR 557. Walnut Creek Farm - A working farm with exotic animals. Take a wagon ride, tour amish homes and barns. Rolling Ridge Ranch -Over 500 animals from around the world. Horse drawn wagon tours. Holmes County Trail - Tour Amish Country by bicycle. 12 Mile paved trail accessed in Millersburg. Walk, run, bike, rollerblade and horseback riding. Amish Country Theater - A family comedy and variety show. Between Berlin and Walnut Creek. The Confession - A musical based on Beverly Lewis' trilogy. Live theater in the Carlisle Inn, Sugarcreek. Fireridge Golf Course - Located 4 miles west of Berlin, Fireridge is a challenging 18 hole course on the rolling hills of holmes county. Willandale Golf Course Sugarcreek - 27 Hole Golf Course and driving range. Sprawling over Amish Country Farmland. With Amish Country Lodging we provide bed and breakfast suites, cottages & beautiful cabins. Join us in and around Berlin, Ohio.